Namely, St Martins’ Rory O’Connor and Oylegate-Glenbrien’s Seamus Casey are Wexford’s two All-Star recipients. Wexford’s two u-21 All-Stars will receive their awards at a ceremony held in Dublin this Friday, 19th October. 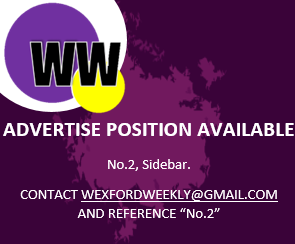 Also, a notable mention to Wexford’s four other u-21 All-Star nominees, who fell just short after some excellent performances in the purple and gold; nominees who missed out are Damien Reck (Oylegate-Glenbrien), Darren Byrne (Blackwater), Ian Carthy (Taghmon-Camross) and Joe O’Connor (St Martins), all who performed excellently throughout their respective campaigns.